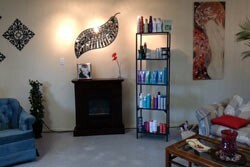 Award winning hairstyling in a relaxed friendly atmosphere. Locally owned for 22 years in Parkville. We welcome walk-ins. Evening appointments by request.